The US-led international coalition has reportedly begun to form a new group from Arab population of Hasakah and Deir Ezzor provinces. According to the source, the creation of a new group is related to aggravating the tensions inside the Kurdish units. 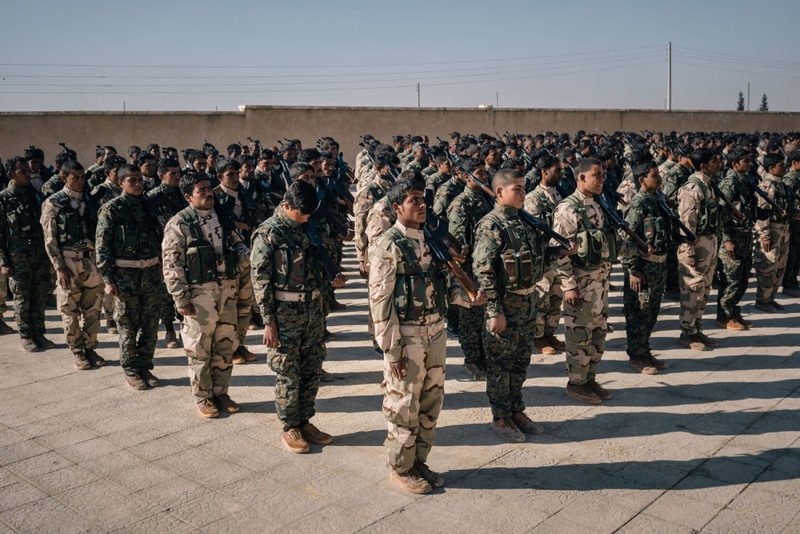 The new faction will operate under the immediate supervision of the US security services, unlike SDF and YPG/YPJ, which are subordinate to PKK (the Kurdistan Workers’ Party). American intelligence agencies are expected to fully supply the new formation with finance and logistics via the coalition command. The new group has a few improvised military off-road vehicles loaded with heavy machine guns, small arms and heavy weapons, RPGs, Chinese-made grenades and M16 rifles. Members of the new group will be dressed in the US military uniform. The militants are promised to wages of $250 (for comparison – a Kurdish fighter receives about $150) and separate payments for the participation in hostilities. The total number of members of the new group currently is about 1,000 fighters. The reports say the main goals of the new faction are to fight against ISIS terrorists and the Syrian army.